We are bowling in the Palm Room this week. The floors are slicker and there is a distinct aroma of cleaning supplies along with whatever they were used to cover. The atmosphere is very different from the main room. Separated from the larger crowds, the Palm Room brings out a much more cerebral game. There are not as many people milling around, taking in the sights and sounds of this glorious sport. There is no crowd to show off for. No feedback outside of the pins. In the main room, the crowd can buzz appreciatively about an almost picked up 8-10 split. In the Palm Room, only the lanes do the talking. Your more introspective bowlers appreciate this lack of attention. They relish in it, as there are no distractions. 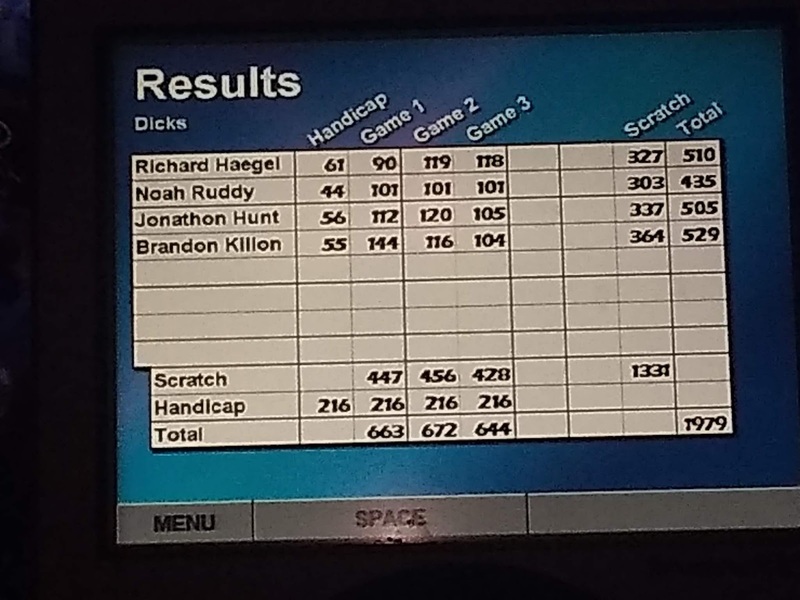 Just lanes and pins. But even the most experienced on these meditative bowlers knows there is danger to this seclusion. The lack of distractions can allow for better focus but can also lead to over-analyzing your mistakes. No outside stimulus to blame a poor roll on. No unexpected sights or sounds to explain a poor release. Without these distractions a bowler is left with no choice but to doubt their approach or their technique. And with this doubt comes The Fear. Once The Fear gets in to you it can quickly spread through an entire team. Maybe we don't belong in the Palm Room, where the game's every movement is exposed? Maybe we are not the artists we hold ourselves out to be and are instead no different than a dog batting around its favorite toy? 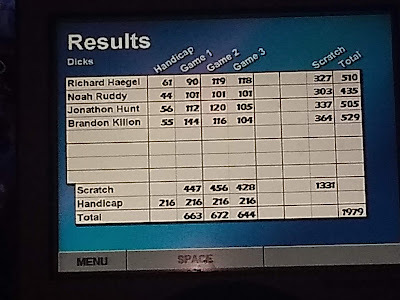 In bowling, every week is a test, but some tests you never get a chance to prepare for. Brandon and Rich were both thrown off by the slicker floors. Noah was absent completely. All of these disruptions to the routine create a perfect opening for The Fear to take root. Brandon was able to salvage something in the last few frames, but The Fear had definitely gotten hold of Rich. He felt rushed. Pressured. The Fear was with him, whispering to him that his mortality mattered more than the lane ahead of him, providing him a glimpse of an exit from The Fear's grasp, but only if he could get there in time. His game could not recover. Once The Fear is in you, nothing comes easy. The heat that was once a mild annoyance turns in to a sweltering blast, like the hot breath of a gytrash that has marked you as its next victim. The heat begins to penetrate every pore in your body, clearing way for The Fear to root through your memories. Now armed, The Fear knows best how to exploit you, best how to feed. The Fear knows what hopes still linger in your tortured soul and can now present them just out of reach. If only you weren't bowling right now, this could be yours. Rush through this frame, ignore Don Carter's advice for a proper approach. Ignore the hours you have spent perfecting your art. The Fear is now all you know.